Do you love to quilt? would you like to learn? We have many opportunities this year and I personally invite you to join us! Through weekly Free Sew Days and two Saturday Clinics per month, I'm always pleased to see you and what you're working on. 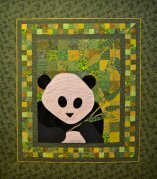 To sign up for free sew days, clinics, or retreats, email quiltwithmo@aol.com or phone the Studio at 206-909-0723. Our Facebook page is www.facebook.com/quiltwithmo. Stay in touch with Studio news and activity. We love hearing from you, so please leave your comments, suggestions, and reviews. This is one place where your thoughts count! 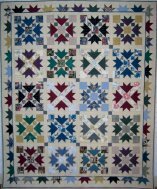 the patchwork is at a standstill"
designed, pieced and quilted just as you want! Give Mo a call or email to share your thoughts, find out the process, and a cost estimate. References are available! Mo will be your hostess, and a deposit of $50 (nonrefundable) will hold your seat. "I make quilts as fast as I can to keep my family warm, and as pretty as I can to keep my heart from breaking."